Continuing with the NYX reviews, something that I had heard raves about were the NYX Butter glosses. So when they came out with some new shades, I decided to try them out for myself. 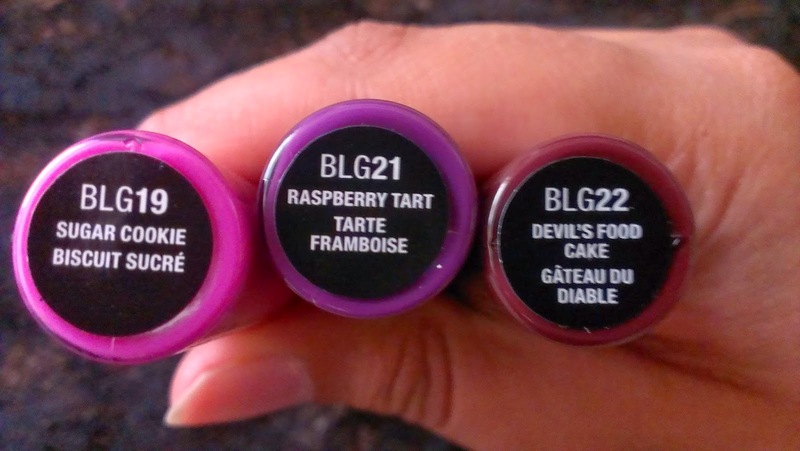 The Butter Glosses are packaged in a tube that's color coordinated to the shade of the gloss - definitely something I appreciate since it helps me pick out the shade I want amidst the myriad of products I have. It comes with a sponge-tipped doefoot applicator that does the job quite nicely. Sugar Cookie - a bright blue-toned pink. Devil's Food Cake - a plummy burgundy. The glosses have a sweetish, sugary smell to them - kind of the smell you get when you mix sugar and butter together when baking cookies. It's pleasant, but if you're sensitive to scents in cosmetics you might want to test this out before buying. The glosses themselves are a lightweight, almost non-sticky formula (I say "almost" because there is some amount of tackiness, but it isn't overwhelming). They sit nicely on the lips, and are quite moisturizing! They apply sheerly, so if you aren't a fan of bold colors, of if you're looking for a way to get into wearing bolder colors, this would be a good place to start. Being glosses, they don't last very long on me - about an hour and a half tops without eating/drinking, and less than an hour if I eat or drink something. Still, the tube is small, sturdy and portable, making touch-ups easy. They do apply a little patchily over dry areas, but it's not terribly noticeable, and if you do apply on drier lips you'll end up with softer lips - so there's that! 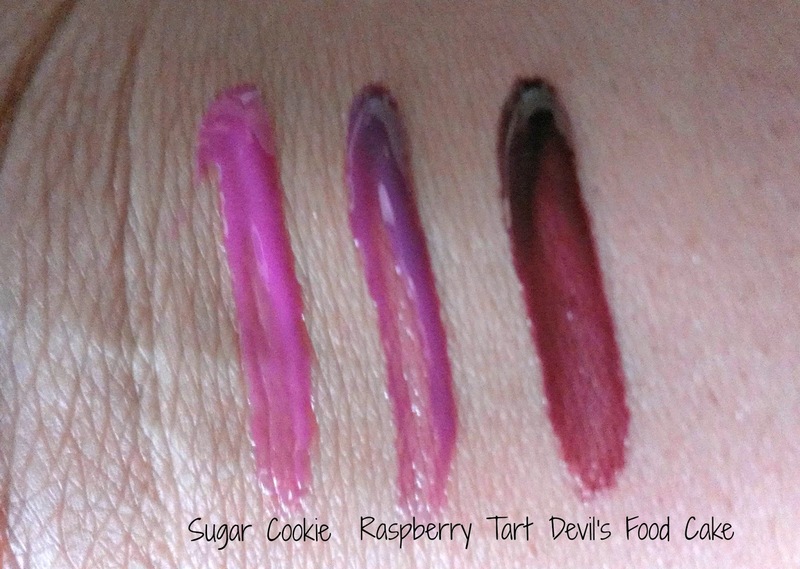 If you're not a fan of glosses because you don't like their sticky nature, give these a shot. They're light and comfy, easy to slick on, and leave your lips soft and with a light wash of color. Gloss is just not my thing - I only recently got into lip products, but lip gloss. No way. 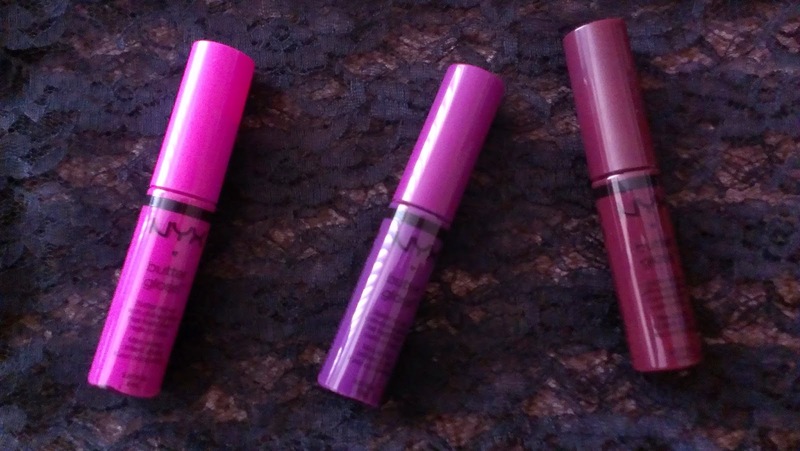 I prefer glosses when my lips are dry and chapped - it's an easy way to combine colour and moisture! I detest the goopy, thick ones though, this is more on the light side which is why I like it.